The end of winter and the start of warmer weather brings with it the 2019 Upper Deck Spring Expo Promo Hockey cards issued in foil packs at Canada's largest sports collectibles show. Found only at the 2019 Spring Sport Card & Memorabilia Expo in Toronto, these exclusive cards are limited to those making Upper Deck purchases at the event. Each year, collectors can obtain the packs at the spring and fall shows. Sticking with tradition, the 2019 Upper Deck Spring Promo Hockey checklist features a Midnight parallel as the "base" set. This time around, it covers all 100 Star Rookie subset cards from 2018-19 Upper Deck CHL. Every card has only 50 copies. There are also eight new Victory Black Rookies cards featuring top names like Rasmus Dahlin and Drake Batherson. Each numbered to 50 or less, Parkhurst Priority Signings cards supply the limited autographs. Even more rare at nine copies or less, the Parkhurst Priority Signings Exclusives cards are normally reserved for the case-breaking promotion. 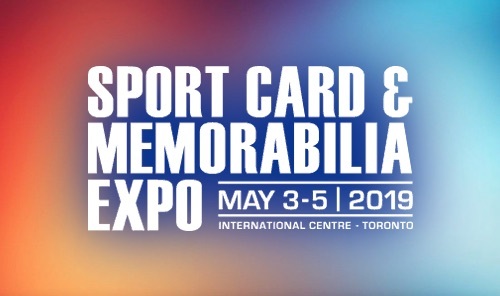 For full show details, review the official website for the 2019 Spring Sport Card & Memorabilia Expo. Check back for more details on 2019 Upper Deck Spring Expo Promo Hockey cards.